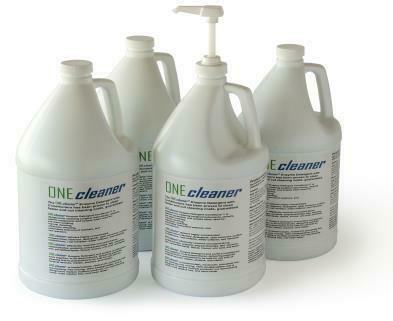 The ONEcleaner Enzyme Surgical Instrument Cleaning Detergents deliver; enzyme cleaners, surface cleaning detergents, and lubricant, that clean residue free, cut cleaning costs, and clean faster. Four enzymes are necessary to effectively breakdown surgical bioburden. Medical surgical instrument detergent enzyme cleaners that do not contain these four enzymes cannot effectively remove all forms of surgical bioburden. Surfactant detergents cleaners are necessary to remove the soil from the surface while the enzymes are breaking down the bioburden. The applications for the four enzymes are: lipase surgical instrument enzyme cleaners to remove fat, amylase enzyme cleaners to remove starch, carbohydrase enzyme cleaners to remove high starches, and protease enzyme cleaners to remove encrusted blood and lipids that have been emulsified with proteins. 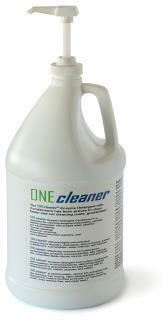 The ONEcleaner Enzymatic Surgical Instrument Cleaners deliver four enzyme medical cleaners, and surface cleaning detergents, that clean rapid and residue.